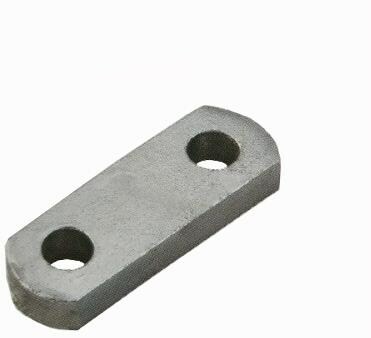 Product categories of Parallel Clevis, we are specialized manufacturers from China, Parallel Clevis, Pd Series Parallel Clevis suppliers/factory, wholesale high-quality products of Hot-Dip Galvanized Parallel Clevis R & D and manufacturing, we have the perfect after-sales service and technical support. Look forward to your cooperation! Electric Power Fitting, P/PS Type Parallel Clevis offers connections to a tongue or a plate on one end and a clevis at the other. Different sizes are available to suit various thickness and clevis gaps. Product can be developed to suit any other connector. PD type clevis connecting fittings/parallel clevis can change the length of assembly parts through connecting single-layer clevis with single-layer clevis or connecting single-layer clevis with double-layer clevis. The parallel clevis is made up of medium-thick Steel Plate combined with the technics of punching & shearing.